So yesterday I wrote down my ideas and intention to blog, and of course straight away started to frantically record in the hopes of ‘making things happen’. I’m not going to get all spooky, but it did surprise me how quickly the negative thoughts flow in, and how, while recording a part on guitar, or programming a section, I’m monitoring so many negative words and criticisms with the thought that none of it is good enough. It’s discouraging, but worse — distracting. It got me thinking, I really need to work on that negative dialogue to open space up in it to create without judgement, if it’s going to be fun. This brought me back to a book I read 20 years ago – Effortless Mastery by Kenny Werner. There’s a great interview with Kenny here, and he unpacks so many ideas so quickly, I spent a lot of today and yesterday writing things down and trying to work out some strategies for implementing these ideas. I’ve had some experience with the meditations and I used to do them back in my late twenties… time to revisit the ideas. You don’t have that block about what you think the sound should be… If I’ve learned one thing from producing myself and others, this is the pivotal thing. Time and again in the studio, the beautiful and resonant has emerged for me from the discarded and overlooked. I also love what he says about taking time to play, and to be in the moment, rather than endlessly worrying about the outcome and the product. This in part has led me to start blogging, hoping to reflect and catch some of the things I might otherwise miss. 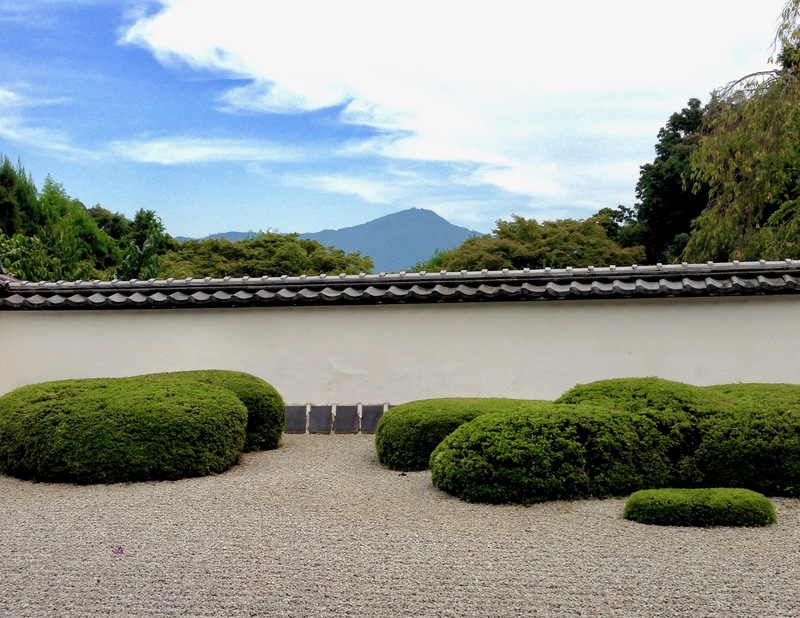 But the goal – the goal is to get all Zen Garden about it, right? david Bowie came to the temple in the picture… but famously recorded a Japanese sake commercial here. Maybe that’s a secret to creativity too – finding a sense of zen, but still enjoying the process. Is that the song I knew?